As seen in The Hollywood Reporter, the docuseries "Humans of New York" based on photographer Brandon Stanton's popular blog of the same name, is currently on Facebook's new platform, The Watch. The 13-episode series from Brandon will feature interviews with the same diverse subjects often featured on his popular blog. The half-hour series is also executive produced by Julie Goldman, the Oscar-nominated documentary producer behind such films as Life, Animated and Weiner. Much like the blog, the "Humans of New York" Facebook series will showcase intimate, candid and often surprising conversations with strangers on the streets of New York City. Stanton began working on the project about four years ago and has, over 400 days of filming, interviewed more than 1,200 people. Stanton began "Humans of New York" in 2010 and has featured portraits and interviews of nearly 10,000 New Yorkers in the seven years since. The blog has also expanded into two New York Times best-selling books and a multiplatform social media presence. 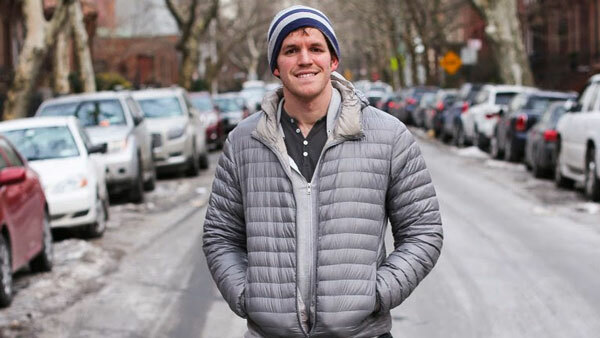 On Facebook alone, Humans of New York has more than 18 million followers. It also has a large Instagram presence, with 7 million followers. "Humans of New York" is one of the handful of shows that Facebook is funding for its new Watch video tab, which it announced earlier this month. Watch is currently rolling out to Facebook's 2 billion users and features a mix of short-form content — produced by video publishers such as Group Nine's Thrillist and The Dodo and Vox Media — as well a handful of signature, funded projects that are longer in length. These include a competition series, Last State Standing, from American Ninja Warriors producer A. Smith and Co. and others. "Humans of New York" is currently available. New episodes will be released weekly on Tuesdays. The Watch platform continues to roll out to users.